Diagnosing Lupus Erythematosus Dr. John Watterson, MD, FRCPC, discusses diagnosing lupus erythematosus. The most important feature in diagnosing systemic lupus erythematosus is to consider it in the diagnosis. In the individual who has manifestations, such as rashes, inflammation of joints or other organs, it always has to be considered. Next, we look at the demographic of the patient. A young woman, versus someone in their 50s, 60s, or 70s, the likelihood is that a young woman will have systemic lupus erythematosus. However, any member of the population can. The diagnosis is based, therefore, on signs and symptoms, as well as certain laboratory testing that is done. The most common laboratory test which most people will talk about is an antinuclear antibody screen. This is positive in the vast majority of people with systemic lupus erythematosus. 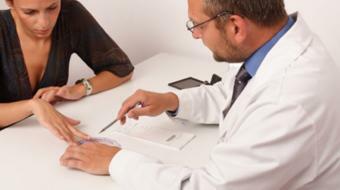 If you've been diagnosed or feel you may have systemic lupus erythematosus, you should be in contact with your primary care physician. You may also be referred to a rheumatologist for consultation. 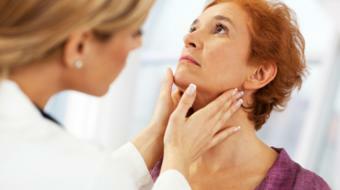 Lupus is more often diagnosed in women, however anyone can get Lupus. The diagnosis of Lupus is based on a patients symptoms and blood work that screens for antibodies. Patients with Lupus may experience the inflammation of joints and/or organs.